In 1919, 14 years after Einstein published his theory of special relativity, scientists found the first proof for his theory. Then, in 2011, scientists found that Earth’s rotation “drags” spacetime, further proof that Einstein had it right! Applying his penetrating intellect to data gathered by simple instruments, Einstein devised deep physical theories that changed our view of the world. Over the last century, scientists have found that gravity bends light, neutron stars make gravitational waves, and a new state of matter exists near absolute zero: all predicted by Einstein. Although Einstein had neither satellites nor modern equipment, his theories are still on the money. What was his secret? 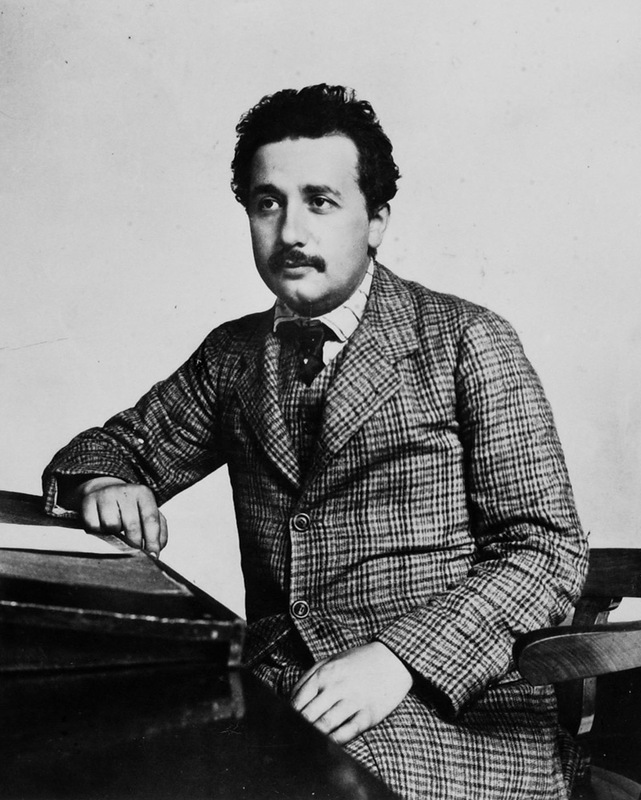 Albert, Einstein was a patent clerk in 1905, the year he published his first paper on special relativity, one of the most profound insights into the nature of reality. Discuss the role of the speed of light in Einstein’s theory of relativity. Explore: How did the study of a solar eclipse confirm the relation between gravity and spacetime? Compare the scientific and popular definitions of “theory.” How much support do scientists require for a theory? What happens to a theory if an observation contradicts it? What characteristics set Einstein apart as a scientist? What other characteristics make for a good scientist? Think like Einstein. Do you have what it takes to think like a genius? Theorizing. Following up on discussion question #3, have students research another theory, such as evolution or the big bang, and write an essay on how it has been tested. The importance of Einstein: Explore Einstein classroom links.